I am often the last person to hear about the cool tools, but I don’t think I’ve seen Zotero mentioned in any other education blogs. 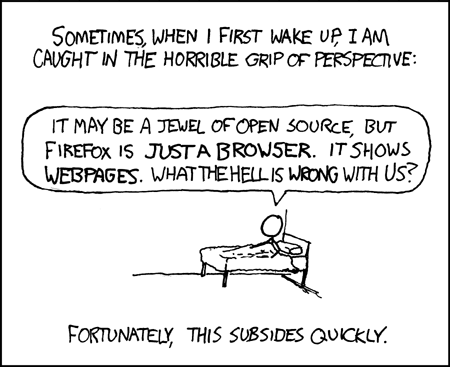 Zotero is a Firefox extension that helps “you collect, manage, and cite your research sources” within your browser. 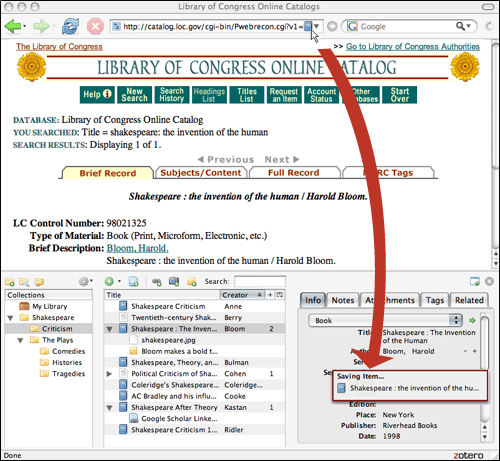 Screencast tutorials at the Zotero site help you visualize what that means for your research. I think students could potentially save a lot of time with Zotero. It would be great for research papers. I don’t know if I will need to write any scholarly papers for my ITMA program, but if so, I can see this extension can potentially save me a lot of time. Zotero works for Firefox 2.0 or 3.0, Netscape Navigator 9.0, or Flock 0.9.1 for Windows, Mac, or Linux. It is free and open source, and lots of good plugins can extend its capabilities with other software, such as Open Office, Microsoft Office, and WordPress. My worry in using it with my own students is that it would be a learning curve for them. As I have stated before elsewhere, it has not been my experience that students today are as tech savvy as we give them credit for, and many of them are not patient with tech tools either. Everything I learned about technology, I learned because I sat down and played with it until I figured out how it worked, but my students do not always approach learning how to use new tools the same way. I do have a few students I might recommend it to.